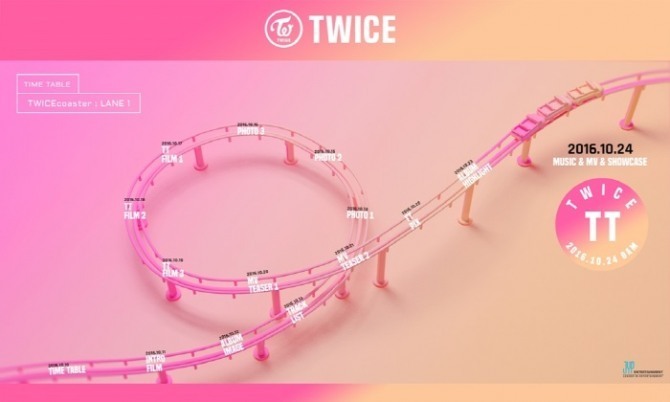 To heighten anticipation for the upcoming EP, JYP Entertainment released an album highlight and choreography teasers of each member, on the official Twice website. The album highlight outlines every song in the EP, and credits each of the producers and songwriters. The choreography teasers illustrate the dance moves of each member, for their title track “TT,” in characterized diagrams. In addition, Twice will also be airing a live countdown at 11:30 p.m., 30 minutes before the official release of their new EP, which is scheduled to release at midnight in Korea.